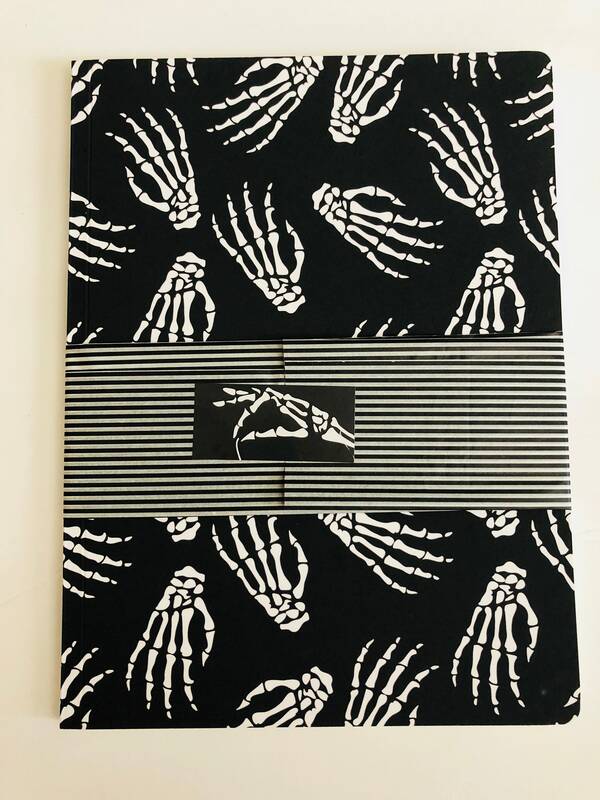 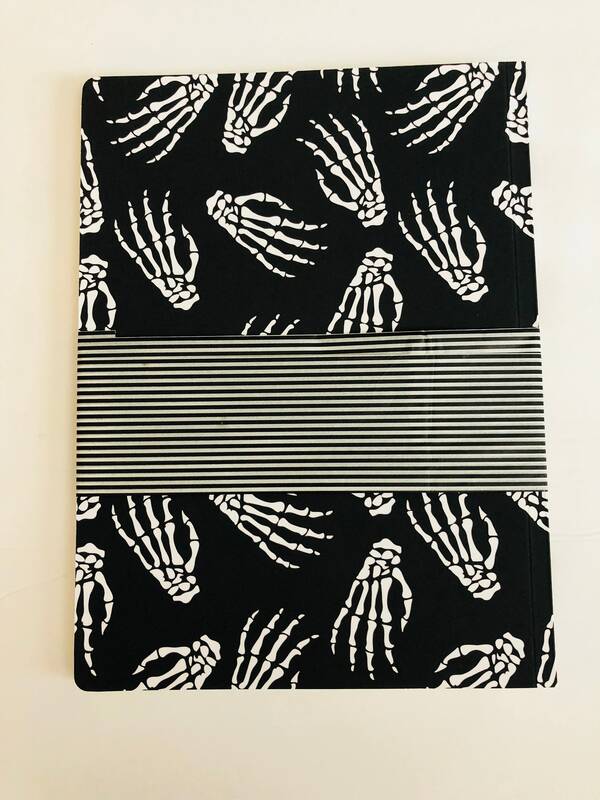 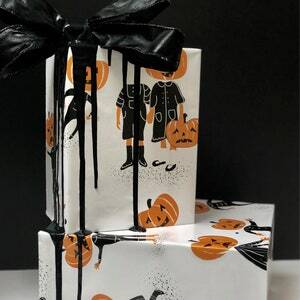 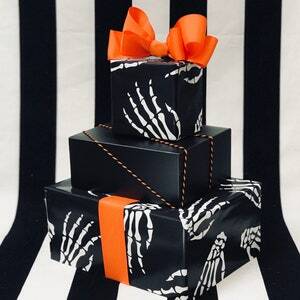 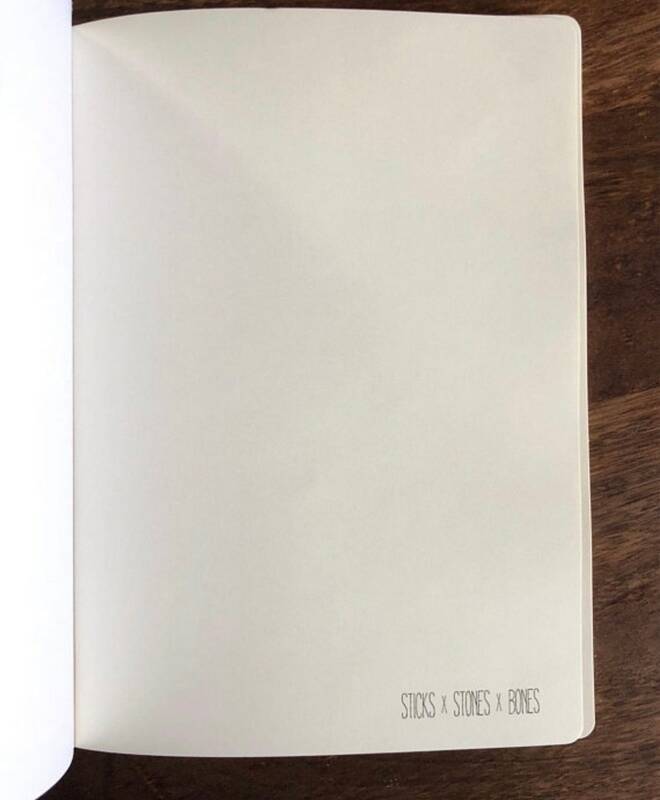 Hand-bound all-over printed notebook with our super spooky Idle Hands print! 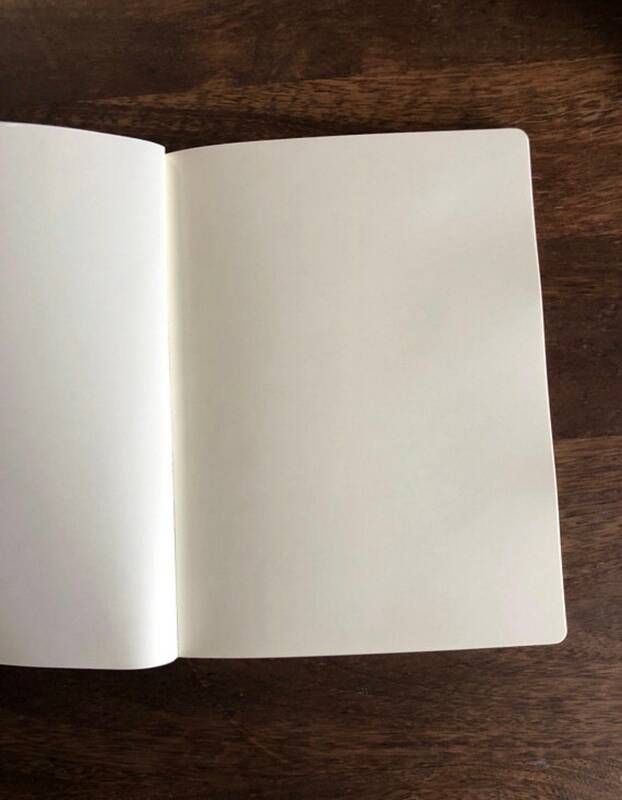 Each page is super creamy unlined white 70lb paper perfect for sketchy or notes. 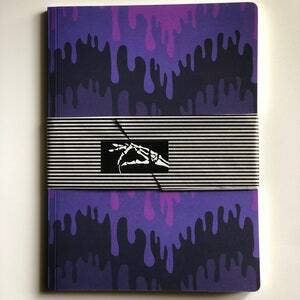 The cover is scuff resistant with an ultra matte finish. 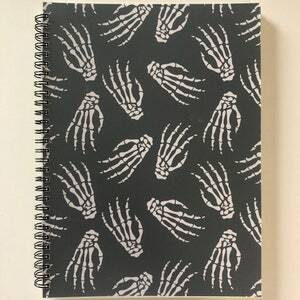 Each notebook is 7.25” by 10” and has 48 pages.